Today, I will teach you how to create a beautiful CSS3 login page that can be integrated into your website, blog, app, etc. I have used this method of creating a login page to implement it into WordPress for my clients; Which gives them diversity among the other WordPress blogs out there. Before we begin creating the login page with the CSS, we will first need the HTML which will include everything from the buttons, links, fields, and the basic layout before we link the HTML to the CSS to complete the design. After the completion of the HTML we now need to begin the CSS part of the design. 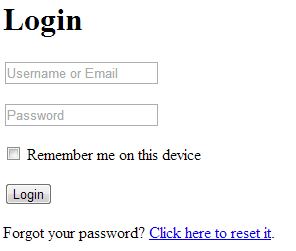 Firstly, we need to begin the layout of the login page. To begin, start by adding the code below. When adding this CSS be sure to leave space above the code to organize it accordingly. After, we can then add additional elements such as the design of the body. Having added the code above, we have added the height and width of the login page form and have centered it to the center of the webpage. We can now begin my favorite part of design, the beauty. Writing the code below adds a border and a grey shade to the login page and you will begin seeing the design come into shape. 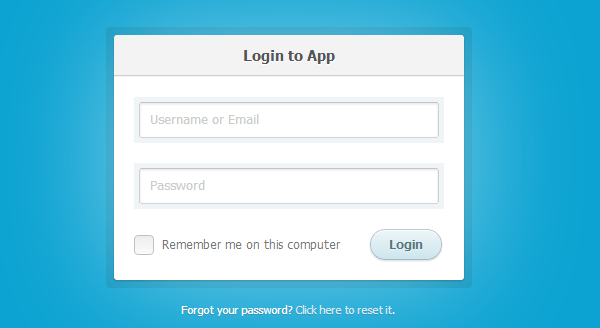 We now have the base of the login form and we are now ready to start the actual design of it. The next part of this tutorial is all personal preference and can be customized to your liking. You can begin by adding the CSS code below; This will add an inner border and radius within the outside gray shade. Since we have finished up designing the borders and the basic design, we can now begin styling the form itself. Let’s start by adding the CSS below which will give username and password fields their design. Now that we have added style to the fields, we might want to add style to submit button. The syntax for color in CSS can sometimes be a bit confusing at first. If you are a beginner with CSS you can use a CSS color generator found here. Before we are completely finished with the design part of the form; we will need to add style to the checkbox for the web app to remember the user’s login information. You can complete this by adding the code below. I recommend adding it just below the body elements in the CSS file. We have now completed the overall design of the login form and we can now finish it off by adding a color to the background. Like I mentioned before, the design part of the creation is all personal preference and can be customized to your needs; Especially the background. Personally, I add my body style to the top of my CSS file for easy access. What does it become in older browsers? The login page supports all major browsers. Thank you for reading! 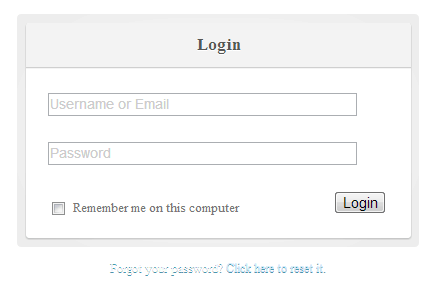 how to integrate with WordPress login page..? I have been looking at some of these free CSS login forms. I really want to make one of them my permeant theme for my login page. Could you please show me a link on how to do this or make a video/ tutorial. Nice. Two things though. The .login class is missing a background-color and the checkbox/radio after styles have gibberish as far as I can tell for the content value. What was intended to be there in those content values? Thanks for your comment. The .login class has no background just because there was really no reason for me to create one. You can always add one according to your project. Replace ? with Your Desired Symbol. Why two nested in markup ? Ohh Thank you so much!!!!! You’re very welcome! Hope it came of great use! Do you have a tutorial on making a Sign up page? How I create tick in to the “content” instead of “âœ””. I tried ✓ ✔ and not work. PLEASE HELP ME. How would I add a sign in with Facebook/Sign in with google option at the bottom of this page. Nice! So how does this integrate with the server? I don’t need to know how its done, but what web design language (beyond HTML5 + CSS3) that I need to learn for that purpose. Like when someone registers or requests forgotten password or verifies email, where does that data go? I’m guessing a database? What do I need to learn for that? PHP? Yes, totally confused.